Jack Link’s, the world’s leading supplier of meat snacking products sponsored Dominic O’Sullivan, a special educational needs teaching assistant from Manchester, to run the 2009 London Marathon dressed as a packet of their new product, X-Sticks! 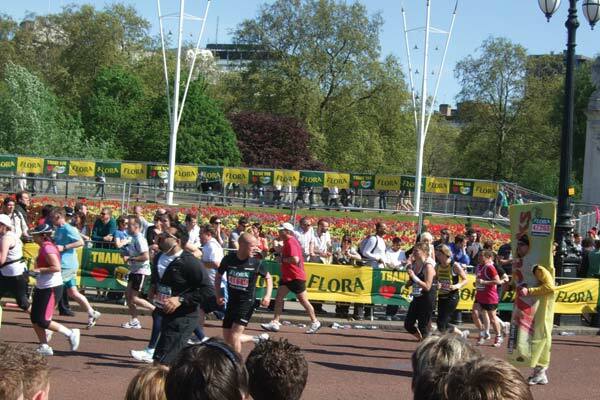 Dominic ran the Marathon to raise funds for Leonard Cheshire Disability, a charity dedicated to changing attitudes towards disability and to serving disabled people with the provision of services including care homes, supported living and respite care. Jack Link’s has created a short video for YouTube. Search ‘Jack Link’s sausage man runs the London Marathon’ to take a look at Dominic’s marathon adventure! X-Sticks are great tasting sausage snacks, naturally smoked with less than 27% fat and high in protein and the life-size X-Sticks packet received many funny looks and shouts as he ran the 26.2 mile race, “Come on X-Sticks Man”’ being the most popular!